Following our successful inaugural tour in April, PYP embark on a thrilling tour early in the New Year. Award-winning composer Bushra El-Turk’s colourful Mosaic will be presented alongside a world premiere performance of Amelia Clarkson’s A Beacon of Hope, written especially for our 2019 tour. The orchestra will be joined by renowned cellist Matthew Barley in a performance of Dvořák's Cello Concerto in B minor, with the concert being brought to a rousing conclusion by Beethoven's effervescent and triumphant Symphony No. 7in A major. The oldest purpose-built music hall in London, Blackheath Halls has been undergoing major renovations and will soon be reopening. PYP is delighted to be one of the first to bring life and inspiration into this fine hall, in a collaboration with Trinity Laban. It is appropriate that the world premiere performance of Trinity Laban student Amelia Clarkson’s ‘Beacon of Hope’will be taking place there. 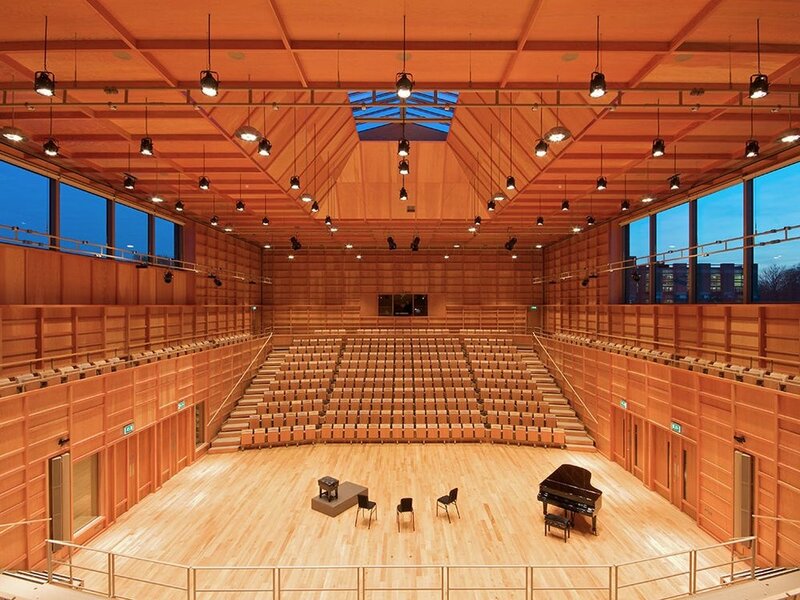 The second concert takes place in Colyer-Fergusson Hall, Canterbury, which was inaugurated in 2012 and has quickly developed an excellent reputation for its versatility and fine acoustics. The final concert of our tour takes place in Elgar Concert Hall, Birmingham. Lebanese composer Bushra El Turk’s ‘Mosaic’was first performed in this hall.